Beautiful Tibetan snuff bottle. 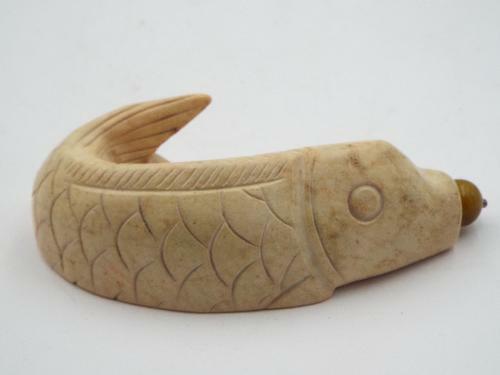 Hand carved from white sandstone. A beautiful piece of Tibetan/Mongolian Buddhist art. 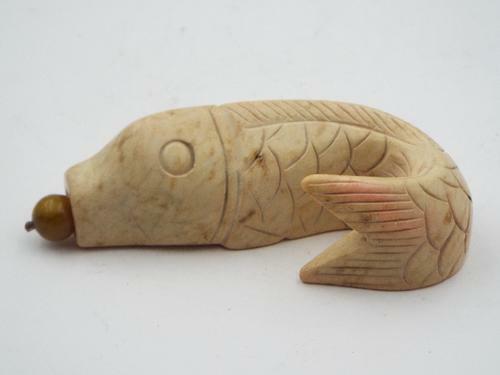 The symbol of the fish is for wealth and prosperity. This snuff bottle retains the original cap and spoon. Snuff bottles used to contain medicinal herbs and powders used by traveling monks. These herbs and powders were used while meditating. Circa 20th century. 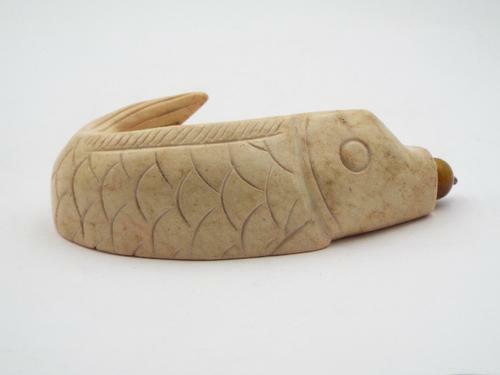 Origin: Tibet, material: carved sandstone, measurements: 4 x 1 x 1.5 inches weight approx. 8 ounces.